Thanks to your efforts we're still standing. November after the Urban Forestry Commission's presentation. Now is the time for you to act on this support. growing more large form street trees in every neighborhood. significent public health threats in neighborhoods with vulnerable populations. STTP in the spring bump budget adjustment. I am writing to request that funding in the amount of $100,000 be allocated for advancing the Street Tree Task Force Project that was unanimously supported at the November 12th City Council work session. At that session, Parks Director Mike Abbate and City Forester Jenn Cairo presented a very strong case as to why this initiative is needed now. Jenn Cairo presented data from the 2016 Citywide Street Tree Inventory and from PSU’s Sustainability Department that demonstrated significant tree canopy inequities that exist within the City’s boundaries. Based on the recommendations from the Policy Committee, the Urban Forestry Commission voted unanimously in favor of the Street Tree Proposal and subsequent Task Force. The UFC believes strongly that this wise investment of public dollars will go towards the maintenance and stewardship of one of Portland’s most valuable assets- valued at .5 billion dollars along with a benefits package worth 18 million dollars. This project also complements the PBOT- led “ Streets 2035” plan, and will be used to better inform the next Urban Forestry Management Plan. Volunteers, staff and advocates were pleased with the discussion and outcome from the November work session. Since that time, many partners have worked tirelessly to move the Street Tree Proposal and Task Force logistics forward. We are counting on your continued support and are requesting that funding for this phase come through the spring bump budget adjustment. Thank you very much. My sense is that our best bet for saving individual trees is to rally around them in person when you can. That's how we've won so far - and when there hasn't been anyone around or fighting back - in person - the trees get cut. So, if you know of a tree or trees that are threatened in your neck of the woods - get busy organizing people who live close to the trees. We have a lot of great guides/direction on our Facebook Group we use to organize efforts to protect trees. Post pictures of the tree(s) to Nextdoor and encourage neighbors to gather at the trees and do the same. 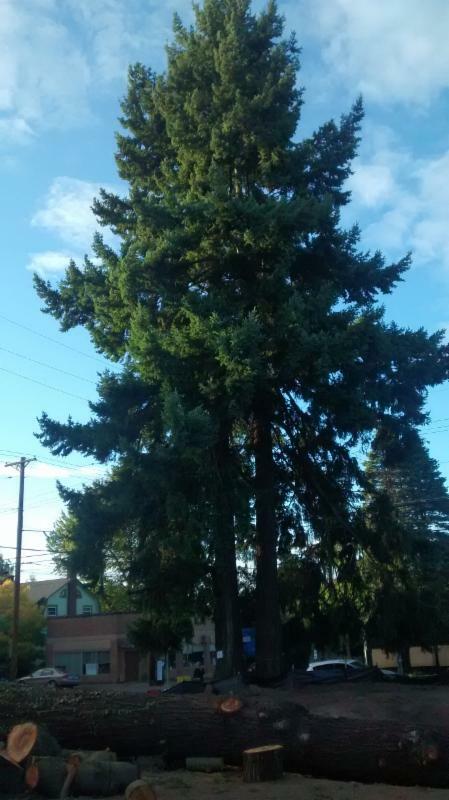 If you're not on our FB group for organizing on the issue of keeping tall trees standing in Portland - please join us! Nextdoor is also a great place to organize. Here they are in one handy-dandy list - cut and paste into your email client.